Knowing how your body feels before you go into activities, and then through the activity and then afterwards .. It is something that people do not actually think about taking note of. Anyone who is working out or considers themselves an athlete needs to understand their body to a more heightened level. What I am finding through this recovery process, is that I am so scared of the new pains and sensations that I feel in my leg and knee. I am so in-tuned to my joints that whenever I feel something different, I recoil. I become tentative. I do not have a physical therapist to walk me through the process of recovery, so I am in a trial and error phase. I must make notes of what happens when, and hope that I can find resources online that tell me that those pains are normal. Physical therapy is supposed to be hard. It’s supposed to hurt and from everyone I’ve ever talked to, it is just not comfortable. However, what is TOO much pain? What is the wrong pain and what is the right or wrong amount of rest time in-between strength training or cardio training? While at the gym three days ago, I was finished with my leg day (leg press, leg extension, leg curls, abduction, adduction & straight leg ‘squat’) .. I was stretching my hamstrings and using the ballet bar. When I proceed from stretching my right leg (the bad one) to the left, I had a bad moment. My right foot planted, parallel to the ballet bar, I lifted my left leg to place on the bar. When my right knee twisted it felt like .. well .. kind of like a white hot poker was shoved into my knee from the outside, in. I have to mention that it was probably a bad idea to have worn heels to a derby banquet the night before, so it was already sore. Did I just overdo it? How do I know? I rested for the next two days except for some calisthenics. I feel a constant pressure on the outside of my leg. I am still icing. I am eating lots of protein, keeping up with vitamins, eating low sodium and drinking lots of water. Today, I hop on the elliptical. The INSIDE of my leg was hurting, and a tingling feeling extended up my femur for about 10 minutes. I did 25 minutes and then moved to the bike for 35 minutes. I’ve iced. I take pain killers. I’ve taken anti-inflammatories. But the outside of my leg is still very tender. Can you tel which is the bad one? So the moral of the story? If I weren’t self aware, I wouldn’t know when things do not feel right. If I weren’t self aware maybe I would have plunged through the workouts and not noticed the leg tingling on the elliptical and I would have done a higher resistance for a longer amount of time than I did. Know your body. Love your body. Trust your body. But… asking for outside help is necessary sometimes too. As a final thought … Despite feel squishy the last couple days, and having those two rest days… My legs and arms are getting RIPPED. Yesterday was the day of turkey and stuffing. And mashed potatoes. And biscuits. And sweet potatoes. And pie. And wine and beer .. lots of it. And if your family is like mine, lots of canned vegetables. Thanksgiving is the kick off to Christmas and all the goodies associated with it. Though, we can’t forget that we’ve been battling the pumpkin pie, gingerbread frappaccinos and chocolate treats for almost a month already. How do we win the battle against the holiday calories? 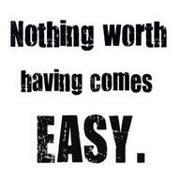 It’s easy, if you’re willing to try. No, seriously. Yes. More water is STEP ONE!! Why are you not listening to me on this one?? Water does a lot of things: it keeps your cells hydrated so they can do their job. It flushes toxins from the body. It keeps your nervous system in working order. It also is what makes up YOU. 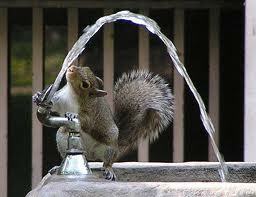 Your body has no way of telling you that it’s thirsty so your body will send the only signal it can. So when you’re thinking, “Wow I’m so busy and hungry.. weird I just ate lunch … oh well, a cookie will solve it.” NO! BAD! Put the cookie down and pick up your water bottle. Remember: Your goal is 1/2 of your body weight IN OUNCES of water per day for health. For weight loss, or on work out days knock that up a notch. “But bottled water is expensive!” … Yes, but a water filter is not. You can even get one for your office and fill up your filter in the office bathroom. There are solutions everywhere if you’re just willing to look. Take a look at the meals you’re eating. How much protein is in each meal? Protein not only keeps you full, but your body needs much more in a day than we usually like to recognize. Also, proteins take longer for your body to burn. So, if you eat a Greek yogurt instead of the cookie, than you are not going to have a spike and crash in blood sugar the way you will after eating a carb heavy snack or meal. Need protein on the go? 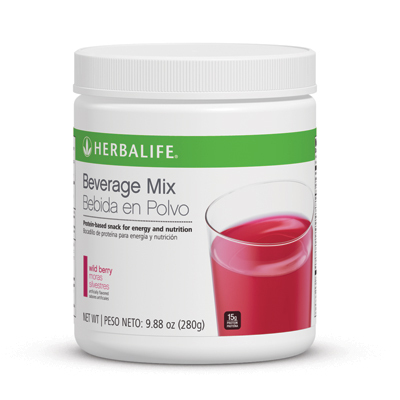 Herbalife Beverage Mix kind of tastes like jello and mixes with water for a quick snack midday. 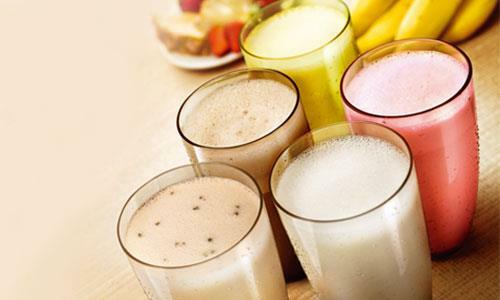 Herbalife Beverage Mix is a great, quick snack for the middle of the day. You won’t feel as guilty about grabbing that cookie if there is protein and fiber in them. When you make mashed potatoes, make it mashed cauliflower. Use stevia root as your sweetener instead of sugar. Crisp up kale or eggplant for your chip snack at night instead of potato. This is just a small list of things you can do to make your daily consumption better. Something else that will improve your snacking habits? Get rid of the junk food. You’ve seen shows where they toss out everything that’s brown or high in fat. Yes. Do that. Trust me, it’ll be liberating. 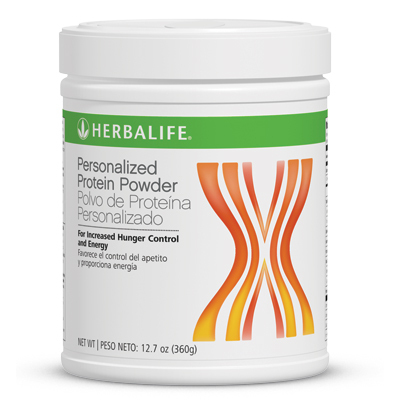 Herbalife’s Personalized Protein Powder can be added to foods to increase the protein. Add the Active Fiber Complex as well to really pack a healthy punch. It’s very easy to set really lofty goals for ourselves. When we do that, it is very easy to become disappointed. Set small goals at first: To take your vitamins daily. To get in 20 minutes of cardio per day for 2 weeks. To do 10 push ups a day. After you set a few goals, declare it to others! Post it on Facebook, Twitter, Tumblr… If you are going on a journey of weight loss, start a blog (like this one!) so that you can keep an updated log of how you’re doing and what you’re doing. 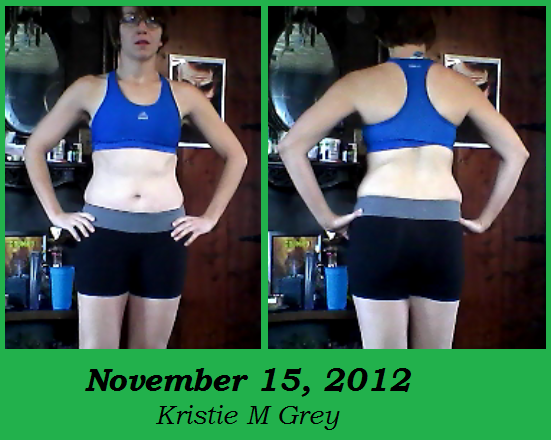 Take pictures, log your measurements and it will help keep you on track. There are lots of great ways to track your calorie consumption or burn. I use iChange, and others use MyFitnessPal. There are lots of exercise sites too like Fleetly.com and Nike+. Whatever you want, use it. Not only will it give you a good idea of how much you are (or aren’t) eating, but it will show you your protein intake, fat and calorie burn. Also… you might think twice about that 3rd piece of pie if you know you’re going to have to tell the interwebs about it later. For more on Herbalife visit my Herbalife Website! 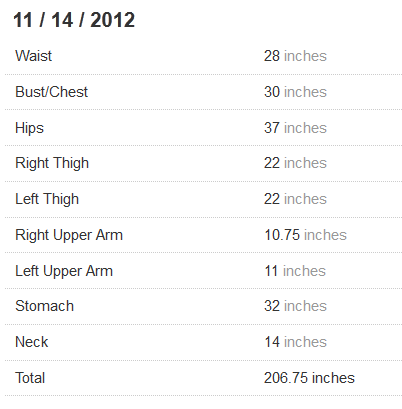 So… I reached benchmark 1 last week, so I began with other cardio already. 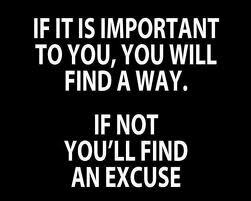 That being said, I need to tweak my goals for this week. I also have to consider that I’m at my family’s house all week and they do not have my gym nearby. I am limited to what they have here. So…. Have done cardio 3 times, strength 2 times. Began lateral motion today with light trials of shuffles, karaoke and replication of skating motion. I’m excited that my progress is much greater than I expected at this stage in the game! 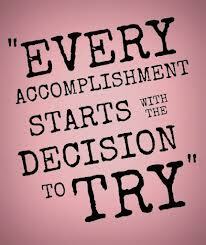 I am excited to start up a Fit Club and begin teaching others again. I’m also excited to help other athletes conquer their own injury with strength and nutrition. 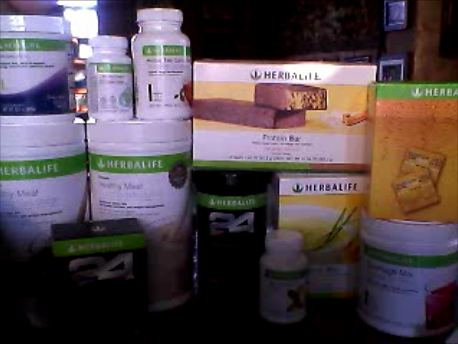 Herbalife has helped so many of us reach our goals! Here’s to health and getting through the holidays! Yesterday I posted ambitious goals for all to see. Then I scattered around my blog’s link. So I guess I’m stuck now. Today, I post the workout I did yesterday (today I’m taking a rest day), as well as my current measurements, weight and before photos. This is as tough for me as it would be for anyone else. Mostly because there is an image of me among skaters and friends that I am “made of muscle”… when the pictures actually reveal otherwise. However – I am fixing that. Hm… I feel the need to do a posting about body image in the media … That will be coming soon I believe. My diagnosis was a 6 week recovery from the time of injury, which means four weeks from this past Saturday (in theory). That would put me at December 8 for full recovery. I am going to use a five-weeks-from-now goal model for recovery, just to be sure I do not over exert. BENCHMARK 1: No pain when walking! Can start with other cardios! Target Heart Rate for cardios should be between 135 and 165. As the week progresses, I will have ‘score sheets’, which I plan on posting, that will have my completed workout for the week. This will force me to write down all the workouts I’m doing and track the weight on each. Also, at the end of each week, I will assess how it went, how my knee feels, and if I need to rethink any of my goals for the upcoming weeks. The cardio goals are subject to change. If I believe I will have the time for more than what I have scheduled, or if my cardio/strength has increased enough, I will change those specific goals. Although this blog is a smattering of topics right now, I do want to make sure I have a log of my journey and progress in here from now on. I do have to make one WordPress complaint however (especially since I know my PR teacher will read this at some point) – there is a text delay. When I type, every four characters, the program stutters and then I’m reminded to just type it in Word, copy and paste. The last two weeks have been a blur for me. A huge, hazy, unproductive blur of “what the hell is going on”? 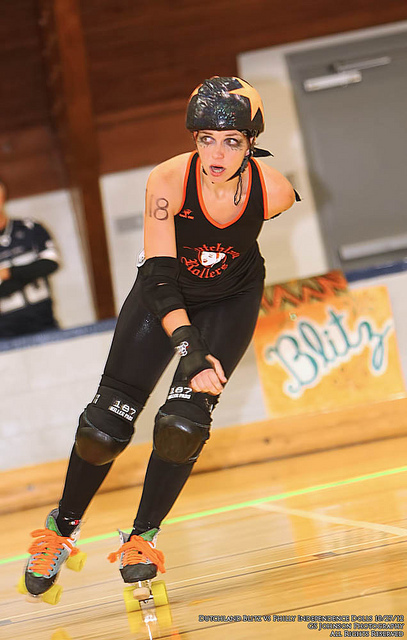 It started before that, but what made the final piece of my life spiral out of control was the bout against Philly Roller Girls. I had trained for two and a half months for this bout. I felt awesome. I was concerned about being able to warm up properly, since we were playing the second game (which meant that I had pre-game duties and would not be able to jog right before gearing up). Something felt off about the atmosphere, but I couldn’t place my finger on it. I just knew that I would be on the line against women who had played at Championship levels before. I’ll tell you what – I held them too. Mo Pain could not get around my passive blocking. Mo Pain did NOT get lead jammer against me. However, I landed in the box on jam 3. On jam 4, I came out, tried to take the outside line (which I have been trying NOT to do) and Kick Ash clocked me hard enough to send me into the penalty box. My knee was sure to pop before I went barrel-rolling the 20 feet however. That was it. I feared forever. I told my team and my friends that everything was uncertain, but my goal was January 1 to be back on skates. After the first day I could put weight on it, if I was pointing my toes. Day 2 I could put weight on it. Day 3 I could walk stairs without my stabilizer and could do one-legged planks, push-ups and anything where I was sitting on the floor. The next weekend I hobbled around Championships. Philly made sure to come up and talk to me and tell me that I looked awesome right before it happened and they were so sad to see me injured. People I had only known on Facebook found me to see how I was doing. 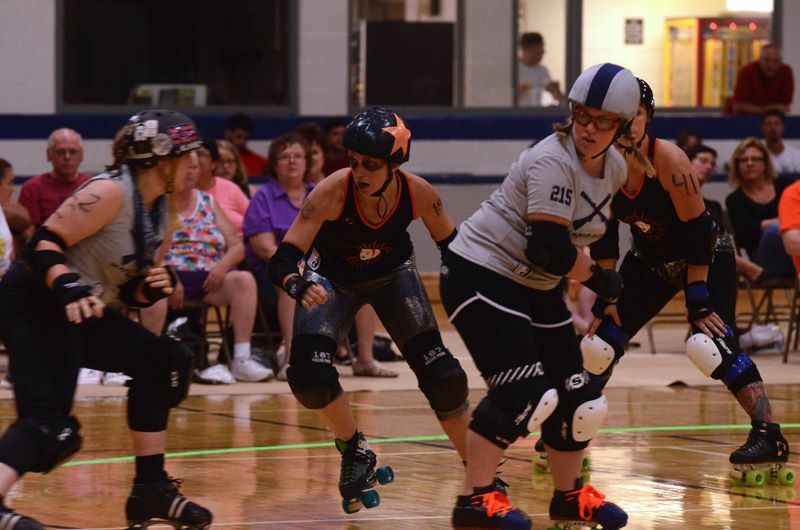 The derby was so inspiring. The people and community were so supportive. Plus, seeing how the biggest weekend of the year is organized was a great experience and awesome insight for my internship next semester. I suffered a minor strain of the LCL, and the popping I heard was probably a few fibers tearing. My knee is too strong, too stable and does not have the swelling or pain indicative of a possible tear. The doctor’s reason for my slight injury and quick recovery: My intense training routine and my strict nutrition. Because I am constantly feeding my body, constantly giving it vitamins and protein and because I am so relentless about my water intake, my body has every tool it needs for recovery. I have been diligent about my icing, compression and elevation as well which has had an impact. My strength was good when it happened, which prevented a serious injury. The muscles absorbed much of the blow, and the ligaments/tendons surrounding the LCL were as strong as they could be. If I hadn’t been in such amazing shape – I would have blown my knee for sure. So I have a definite 4 more weeks off skates. He gave me strength routines and specific benchmarks to reach before returning to the instability of roller skates. I will follow everything. My off season is going to be fantastic and I will come back even stronger than before.